Thanksgiving is almost here and families are making their grocery lists and preparing to cook delicious meals and tasty desserts. These hearty meals require a lot of preparation, time and effort. The countertop is sure to be a dirty mess by the end of the cooking process. Fear not! If you have a quartz countertop, clean up will be a breeze. 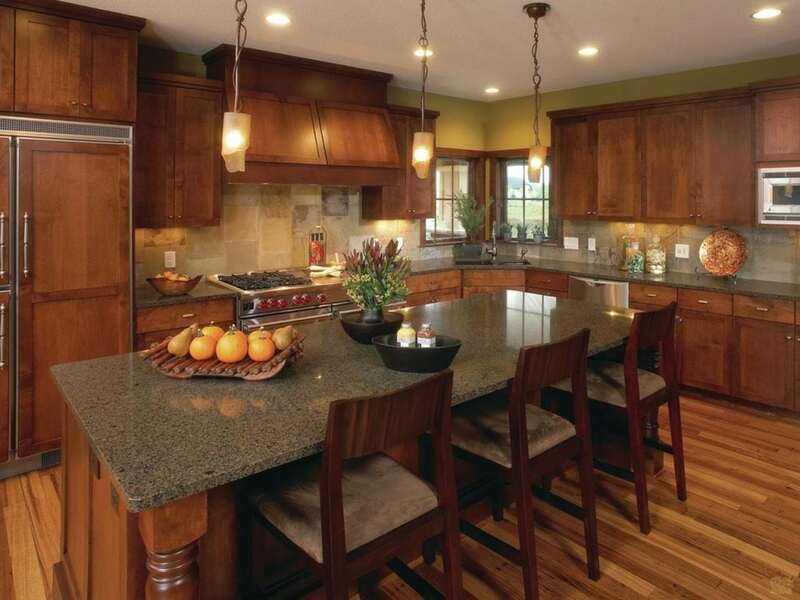 There are a lot of benefits to purchasing quartz countertops. These countertops will not only make food prep more sanitary, but will also make clean-up hassle free. You’ll have clean, good as new countertops in no time. Quartz is made of a natural stone that is very strong and durable. This extremely hard mineral will withstand most plates, bowls, and silverware drops. This means that there will likely be no chipping after those accidental drops on the counter, or scratches when you’re cutting the turkey. Quartz countertops never have to be sealed due to their strength and durability. Quartz is non-porous, meaning that quartz countertops will be more resistant to bacteria. They are also non-absorbent, so they won’t draw in moisture from leftover or raw food, which can harbor germs. When you’re cooking an array of foods like turkey, deviled eggs, ham, etc., you don’t have to worry about bad bacteria living on your tops. 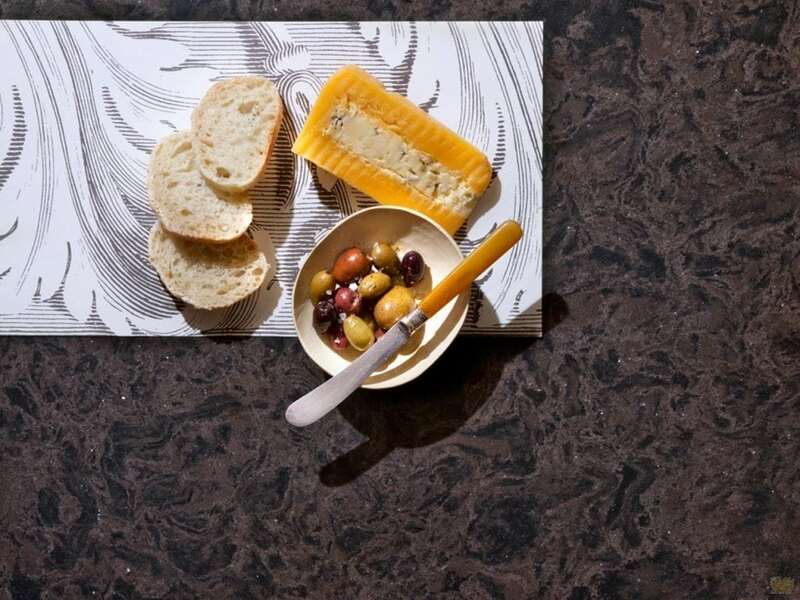 Cambria Quartz is rated commercial food safe and is even UMKosher certified. 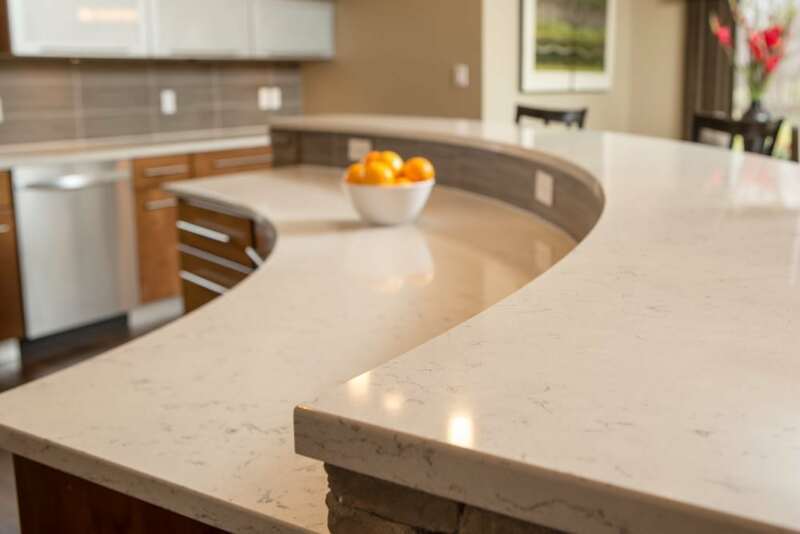 You can rest assured knowing that quartz tops are safer and healthier for you and your family. Whether you’re making blueberry pie, serving red wine or cranberry sauce, you increase your odds of having an accidental spill that could stain your countertops. Thankfully, Quartz countertops are stain resistant, and require very little work to remove stains. After your stomach is full, and before you settle down to watch the game, you can quickly clean up your quartz countertops with mild soap and warm water. One less thing to worry about through the holidays! K&D Countertops wishes you a wonderful Thanksgiving filled with family, friends and great food!